The vision of the WHF is meeting the WHO target for NCD mortality reduction by reducing premature deaths from cardiovascular disease by at least 25% by 2025; and tobacco control measures such as the accelerated implementation of the FCTC is an important component of this action. Jamaica was represented at the meeting by Mrs Deborah Chen the Executive Director of the Heart Foundation of Jamaica and past Vice President of the WHF and former Minister of Health Dr Fenton Ferguson. 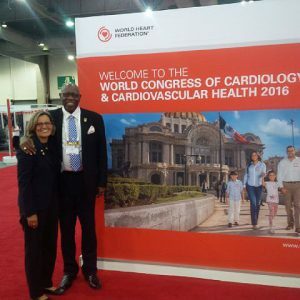 Dr Fenton Ferguson was invited by the Scientific Committee of the World Congress of Cardiology to make two presentations on Sunday June 5th, 2016 at their meeting in Mexico City. Dr Ferguson was instrumental in the enactment of Jamaica’s Tobacco Control Regulations in 2013. 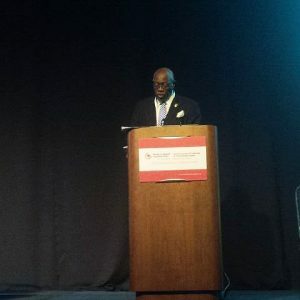 The first presentation was on the topic CVD/NCD as global health challenge, his presentation was entitled “Caribbean Successes and Challenges – The Port of Spain Declaration on NCDS” . The session was chaired by Mrs Deborah Chen. Dr Ferguson later was part of a session on the WHF CVD roadmap on tobacco control and was part of a panel discussion entitled ‘Political Will and Financial and Technical Resources”. His topic was on the challenges encountered in implenting the FCTC and the role of political will in the process. 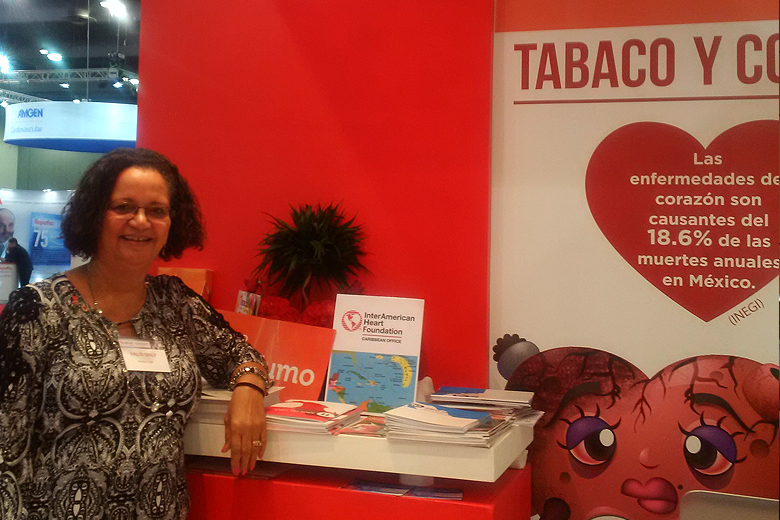 Mrs Barbara McGaw was given the opportunity to also attend the WCC and listen to presentations on tobacco control and cardiovascular disease including the plenary session by Dr Tabare Vazquez from Uruguay, on political action needed to accelerate the FCTC and Dr Vera Luiza de Costa, head of the FCTC. The topic was “the FCTC: a tool for action on NCDs”. Mrs McGaw’s trip was facilitated by the Campaign for Tobacco Free Kids (TFK) , who are hosting a regional tobacco control meeting to review regional status and strategies of tobacco control programmes in Latin America and the Caribbean and ways in which FCTC implementation can be accelerated.